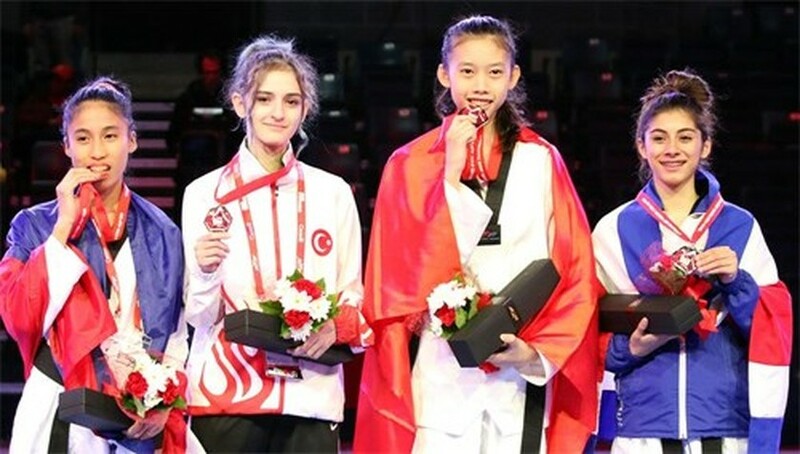 Ho Thi Kim Ngan, 15, has won the gold medal in the 44kg category at the WTF World Taekwondo Junior Championships held in Canada. She defeated her Costa Rican rival 5-2 in the final on the afternoon of November 17 (Vietnam time). The tournament for athletes between 14 and 16 years old is taking place in Canada from November 16 to 20. Aside from Ngan, eight other Vietnamese athletes are competing at the championships, namely Minh Hung (men’s 63kg), Minh Thang (men’s 51kg), Dang Quang (men’s 55kg), Do Thi Hien (women’s 46kg), Vu Thi Dung (women’s 52kg), Bac Thi Khiem (women’s 63kg), Kim Tuyen (women’s 49kg), and Hong Han (women’s 55kg). Vietnam expects Dang Quang to also bring home a medal from the event.